Amazon has made their first significant acquisition in the connected home space, buying wire-free camera manufacturer Blink. We examine Amazon's acquisition of Blink and what this means for the consumer video segment, as well as traditional surveillance manufacturers competing in this space, such as FLIR and Hikvision. Ease of install: How simple is it for non-technical people to get it working? Video quality: How many details / how much like a high-end smartphone does the recorded video look like? Alert accuarcy: What kind of accurate alerting and searching does it provide? In addition, a 4th dimension is rapidly forming, which is integration with other smart home products and controls, such as Amazon Alexa, Google Home, IFTTT, etc. 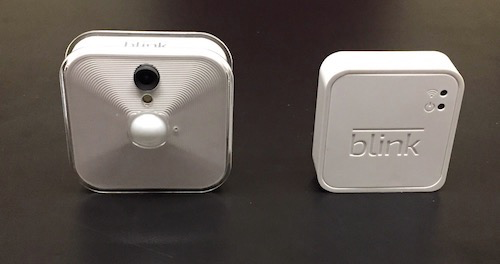 Based on our tests as well as user reviews, Blink is simple for inexperienced users to set up, requiring them to scan a QR code and push a button to pair cameras. Additionally, Blink's motion alerts have generally been accurate in our tests due to its use of a PIR for motion detection, which worked accurately at up to 50' range in our tests. 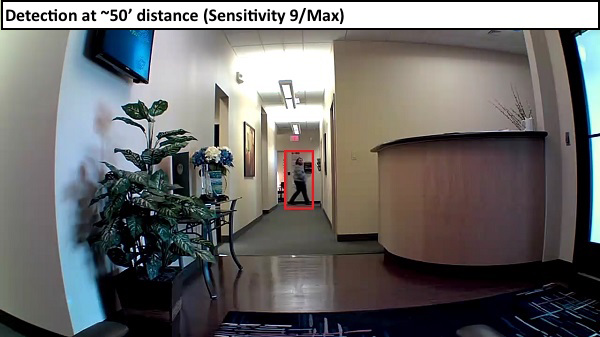 Using a PIR ignores many sources of video-based false motion alerts such as leaves, debris, etc. However, the PIR does not provide any advanced intelligence such as differentiating between humans, vehicles, pets, etc., found in some other consumer offerings, such as Nest IQ. Finally, Blink's video is weaker than many competitive consumer offerings, providing only 720p video where others have moved to 1080p or higher. 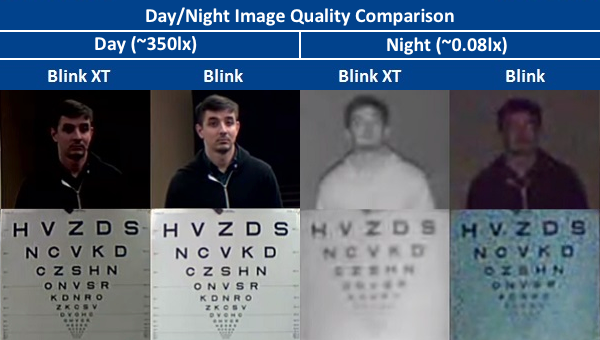 Readers should see our tests of Blink's indoor and outdoor BlinkXT models for reference. For integrations, Blink lists Amazon Alexa and IFTTT, though some degree of functionality with Google Home can be achieved via the IFTTT integration. This makes their smart home integration support average, though at this point it is unlikely a direct Google Home integration will be added. Wire free cameras, those using both batteries and wireless networking, are a strong draw for consumers. The problem with WiFi cameras is they typically depend on local power (either low voltage, or a local power outlet), requiring a cable run to each camera location. For homeowners, this can significantly increase cost, present barriers for those who do not know how to properly run cabling and cause aesthetic concerns (wiring running all over the place). The totally wire free segment of video surveillance relies on built-in batteries and proprietary wireless video streaming to reduce energy consumption and minimize the frequency of changing batteries. Some systems employ a solar panel to keep batteries charged, however the solar panels add additional costs, and can be relatively large and unsightly. Many consumers do not need high quality video nor intelligence in their systems. They simply want basic video that is easy to get set up. This is what manufacturers like Blink in the totally wire free market segment deliver. Blink's strongest positive is how established it is in this segment, being one of the first to launch, and producing a product that generally delivered acceptable performance within its price range and target market. The challenge for Blink is that competitors realize the benefit of this offering and are rapidly going into the market. For example, FLIR's Lorex consumer division recently launched a wire-free surveillance system, and consumer networking giant Netgear offers the Arlo wire-free camera. Major chipset makers have also recognized the potential market for these products, video chipset manufacturer Ambarella has a low-power chipset specifically geared to this application, making it easy for startups to build a software offering with reduced hardware R&D requirements. This acquisition adds to Amazon's existing 2 IP cameras (Amazon Cloud Cam Tested, Amazon Echo Look Fashion Camera Tested) and their installation service (Amazon Techs Installing IP Cameras Tested). These combinations show Amazon's seriousness of being a major player in home video surveillance, and indicate the company is likely to continue to expand its offerings here, either through organic development or additional acquisitions. This is bad news for major incumbents in the space, such as FLIR/Lorex, Hikvision/Ezviz, etc. Amazon is not only a major outlet for smart home products, they are also rapidly becoming known as a smart home base platform, via Alexa-enabled devices. Additionally, Amazon is not afraid of going to war with companies it deems competitors/threats, such as their ongoing spat with Google, much of which centers around Google's consumer-oriented smart home products under the Nest brand, and Google Home device. These factors make it challenging for traditional security manufacturers to create competitive offerings and establish a market that is large enough to be worthwhile, without becoming so large as to be a potential threat to Amazon, risking being ejected from Amazon's website.